The U.S. Hispanic population has reached 50 million people and now represents 16% of the total population. The Hispanic Databook provides a detailed analysis of this growing population base, offering informative statistics on 26 statistical topics, with additional data on all 23 Hispanic origins. With updated information from the 2010 Census and American Community Survey, researchers will find statistics for all 50 States and 782 Places, with data on all 23 Hispanic groups. New to this third edition, Hispanic data is now compiled into easy-to-use place profiles. Nation, State and City profiles allow the user to drill down their research from the nation as a whole right down to statistics on an individual city. Begins with a National Profile and Nationwide Maps for each of the 23 Hispanic groups. Next, State Profiles begin each chapter, followed by individual Place Profiles. 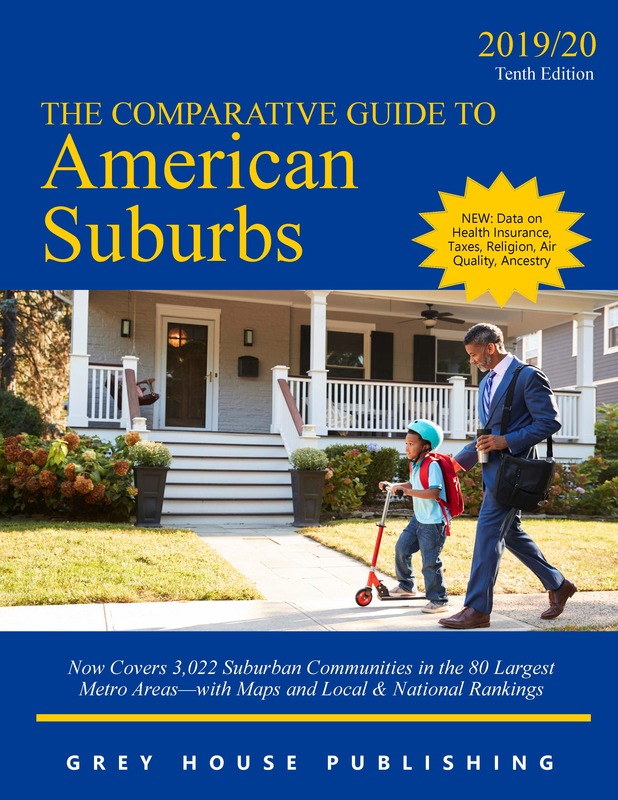 These informative summaries provide immediate access to statistics for Overall Population, Median Age, Average Household Size, Language Spoken at Home, Foreign Born, Education Attainment, Median Income and Homeownership. Coverage includes the Hispanic population as a whole and broken down by 23 Hispanic origins, from Argentinean to Venezuelan. Over 20 New Statistical Topics include Population Growth, Male/Female Ratio, Public & Private School Enrollment, Unemployment Rate, Type of Employment, Means of Transportation to Work, Travel Time to Work, Households with $100,000+ Income, Households with Public Assistance or Food Stamps, and more. 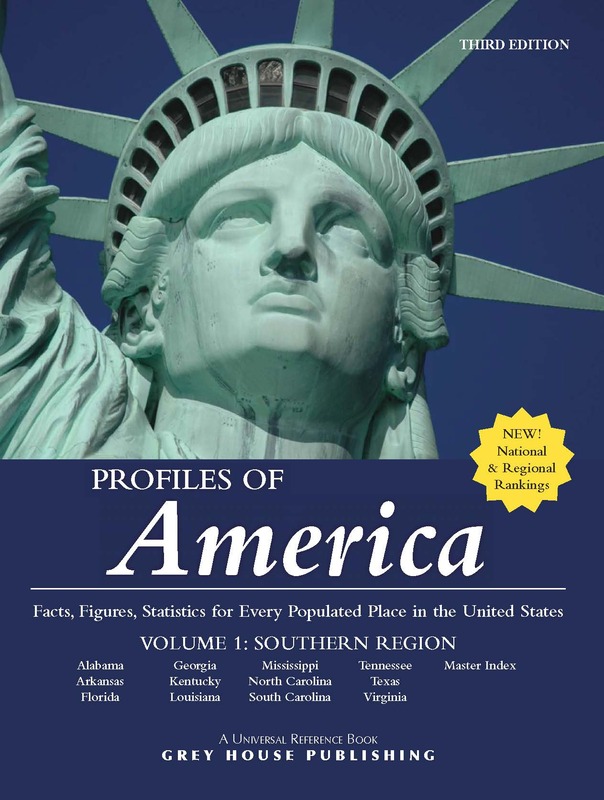 National & State Comparative Rankings contains 1,988 charts that rank the top 10 states, counties and places for all 26 topics and 23 Hispanic groups. All topics are ranked by number and many also by percentage, in both ascending and descending order. For comparative purposes, the U.S. figures are included in each table. Using the rankings, researchers will learn that Charlotte, NC showed the greatest growth in the Argentinean population between 2000 and 2010 (317.9%) and Yonkers, NY has the highest median home value for Hondurans ($875,000). This kind of comparative data cannot be found elsewhere, in print or on the web, in a format that’s as easy-to-use or more concise. 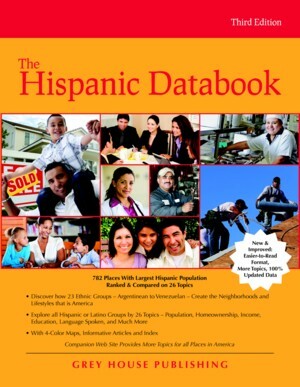 The Hispanic Databook presents a remarkably useful compilation of information that will be a necessary resource for those searching for demographics data and conducting market research. The Hispanic Databook will be an important addition to the reference collection of large public or academic libraries, along with the marketing collection of any company whose primary focus is on the Hispanic population. 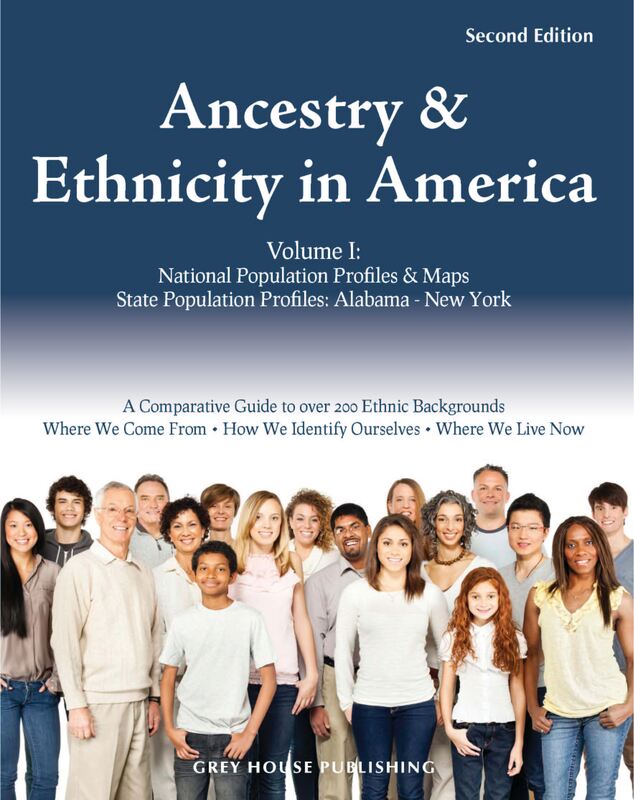 This two-volume information-packed reference work, completely updated with data from the 2010 Census, is a comparative guide to over 200 ethnic backgrounds across the US. Illustrating Where We Come From, How We Identify Ourselves and Where We Live Now, it is the most detailed look at the ethnic makeup of America on the market today.